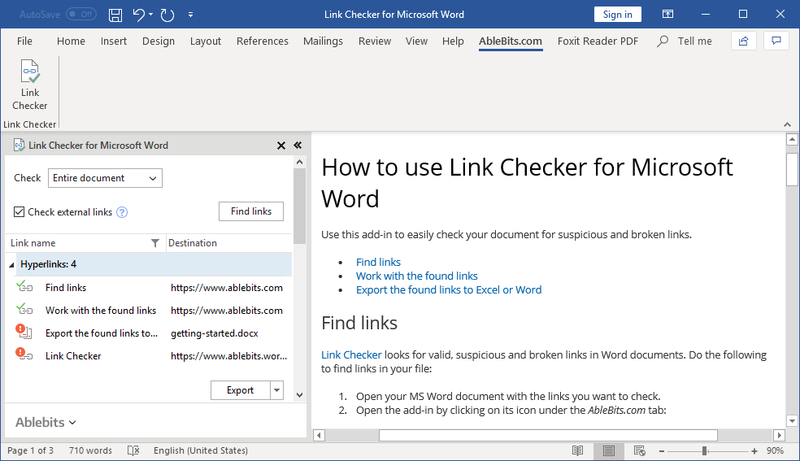 Link Checker for Microsoft Word is a handy tool for managing and checking internal and external links and cross-references in Microsoft Word documents. Use this add-in every time you need to ensure that the links in your document are valid. See all links in a tree view Navigate between hyperlinks and references quickly and comfortably. Export links to Excel or Word Export the list of found links to a new Microsoft Excel or Word document. Sort links by type Filter the found hyperlinks and references to work with valid, broken, or suspicious links only. See field codes instead of values Turn the link values into their field codes right in your Word document. 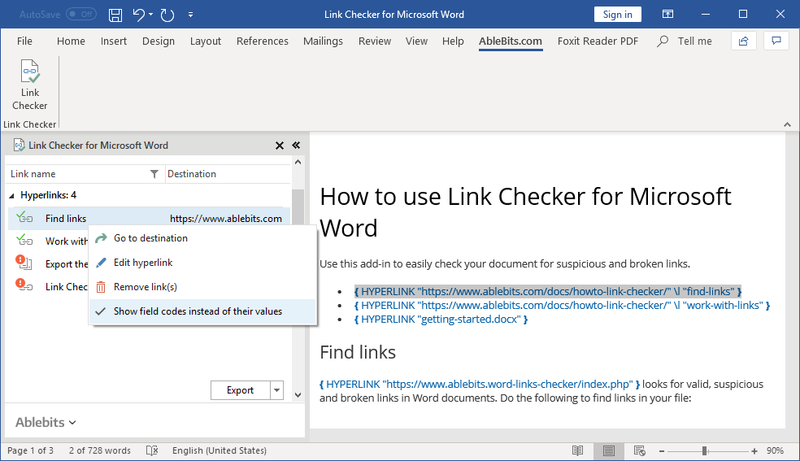 Edit and remove links Edit or remove hyperlinks and cross-references in a couple of clicks. 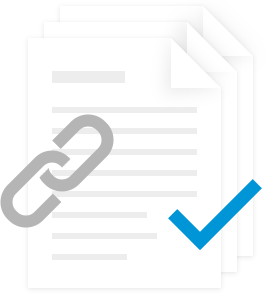 Check external links Find internal broken links as well as hyperlinks to other documents and websites. Tune the search area Look for links all over the document, in a selected text, on certain pages, or on the current page. Check the item destination Open the documents or web-pages that are linked to the found items in one click. 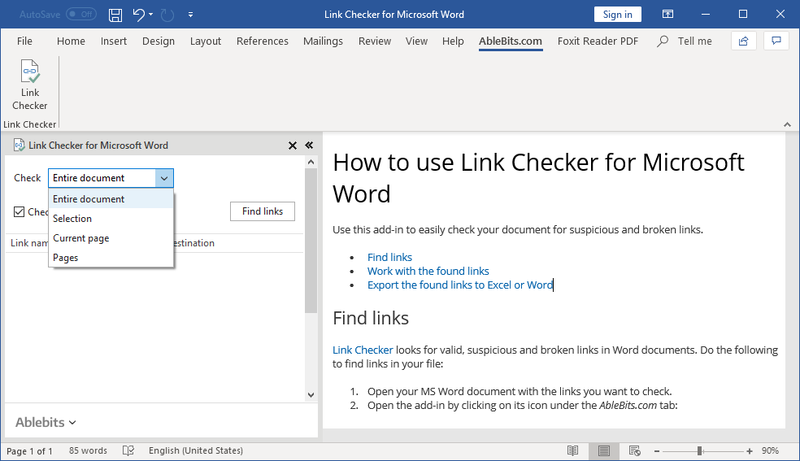 Can Link Checker detect external links in my Word document? Absolutely. To make sure the tool will detect both internal and external links, do not forget to tick the Check external links box on the add-in pane. If this box is not checked, the utility will search for cross-references only. What if I need to export all links to an Excel document? Link Checker will help. Simply click the Export button, select a Word or Excel option, and the add-in will create a new file with the links. Can I see the field codes right away? Yes! For this right-click any of the found links on the add-in pane and check the Show field codes instead of their values option.